It's the most technologically advanced home automation system we've tried, but it comes at a price. 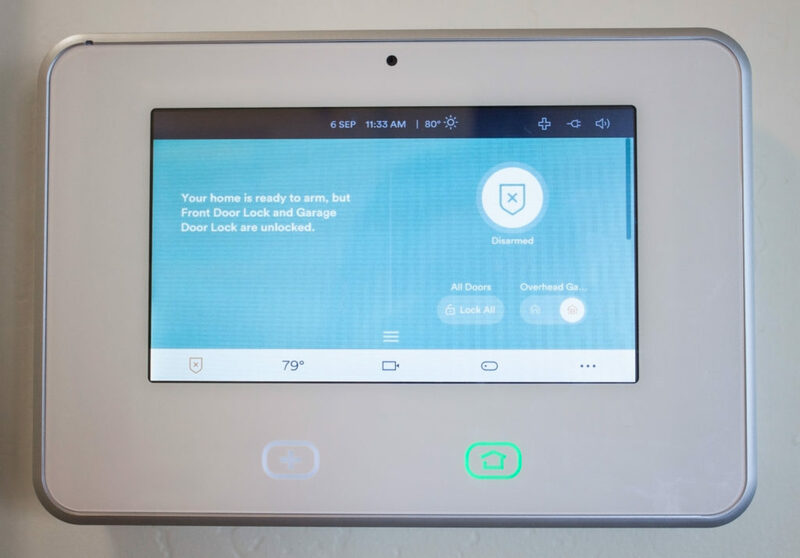 Vivint is one of our favorite home security providers, namely because it offers well-designed equipment and makes it easy to automate many aspects of your home. Even the negative feedback we’ve heard about Vivint almost never has to do with its technology or equipment. Everything, from Vivint’s door sensors to its mobile app, is reliable and downright handsome. Our Vivint home security review discusses all of this and more, helping you understand if the company is a good fit for your household. Vivint equipment is a bit pricey. 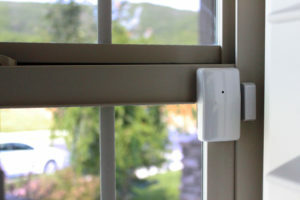 If you’re interested in basic security systems without too many bells and whistles, then Vivint probably isn’t for you. But if you’re looking for a foundation that will help turn your home into a smart tech paradise, then we have yet to see a better option. 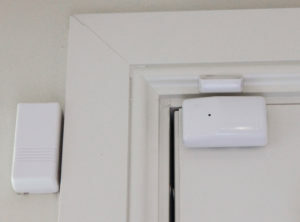 Vivint is one of the more expensive home security systems out there. You’ll tend to pay more for equipment than other providers. However, as of February 2017, Vivint no longer requires monitoring contracts for every customer. You can buy your equipment up front and pay for monitoring on a month-to-month basis without being locked into a 5-year contract. Want to cancel three months or two years in? You can, without paying penalties. If you don’t want to (or can’t afford to) purchase all your equipment upfront, you can finance it and pay monthly installments. The only catch is you’ll have to sign a contract. Since Vivint offers both cameras and home automation equipment and you can buy equipment à la carte, Vivint qualifies for all three of our tiers. However, if all you want are basic security sensors and monitoring, we don’t recommend choosing Vivint—unless you want to go with the basic Smart Security package. For the most part, you choose Vivint because you want top-of-the-line technology, home automation, and some really cool cameras—not for a run-of-the-mill alarm system. There are cheaper options than Vivint if all you want are baseline security sensors and a loud alarm. Keep in mind, if you do want those cool cameras, you’ll have to shell out the extra $10 per month for the Smart Home Video package, which supports camera live feeds, recording, and storage. A big complaint among Vivint users in the past was the length of the contract—usually five years. But as of early 2017, if you don’t want to sign a contract with Vivint, you don’t have to. You can pay month to month and cancel when you want to. As of early 2017, if you don’t want to sign a contract with Vivint, you don’t have to. You can pay month to month and cancel when you want to. That is, with one huge caveat: you have to buy your equipment up front. Considering a full array of equipment can easily top $2,000, that’s a pretty big financial bite to swallow. It’s safe to say most consumers won’t be willing or able to buy their equipment up front. Still, many home security providers don’t offer a no-contract option at all, so if you’ve got the cash, contract freedom is yours. But if you don’t have the cash, don’t panic. Luckily, you can finance the upfront cost of equipment at 0% APR and pay it off in installments. But to do that, you have to sign on for a monitoring contract. For most people, the contract term will be for five years (although three and a half years is an option if you don’t mind the higher monthly equipment bill). Contract details can also vary depending on your credit score. Extra goodies like motion detectors, freeze sensors, etc. Most security providers offer standard, third-party security equipment that’s so similar, it’s hard to differentiate one provider from another. If it’s the same door sensor no matter where you get it from, then why should you choose Frontpoint over ADT? We like that Vivint takes a different approach by designing a lot of its equipment in-house. And for the most part, it does a darn good job. You don’t have to wonder which models or version of equipment will show up on your doorstep, and Vivint’s proprietary designs make its devices stand out from the crowd. When you sign up for Vivint, you’re required to buy a basic equipment package. Vivint SkyControl Panel - This is where all the magic happens. We liked simple and intuitive interface design. The sleek hardware looks great on the wall and almost acts a conversation piece. Same as other security providers, Vivint’s control panel is the heart of its system. This is where you arm and disarm the system, as well as control accessory equipment like security cameras. False alarms are a big drawback of all security systems. When someone trips a sensor and your alarm goes off, most security companies will try calling you before they alert the authorities. That means you have to be around your phone ready to answer the call. If they can’t get ahold of you, most companies will try a backup number or two, and if there’s still no answer, they’ll call 911. If the sensor trip was a false alarm and you miss the phone call from the reps, the authorities will be called out to your house for no reason. And if it happens more than a couple of times, you can face some big fines from your city (and some very annoyed police officers). For that reason, Vivint added an extra step to its two-way talk feature. When your alarm goes off, a Vivint rep can try to talk to you through the panel itself before they call the authorities. So if you do trip the alarm system, you don’t have to track down your phone to tell the Vivint rep it was a mistake. Thanks to the two-way talk feature, we’ve found false alarms to happen less frequently with Vivint than with other providers whose panels don’t have two-way communication. With Vivint, we’ve seen false alarms happen only when multiple users are away from both their phones and the main area of the house (where the control panel is located). If you have Vivint security cameras, you can pull up their feeds in the SkyControl panel and watch in real time, as well as talk to anyone who might be on the other side of the lens. 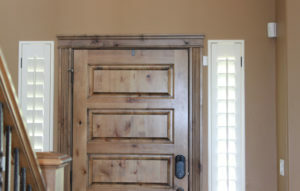 Both Vivint’s doorbell camera and its Ping camera allow two-way talk functionality through the mobile app and the SkyControl panel. Vivint’s panel lets you set up different user codes for every person in the house and whomever else might need to get in. If you have multiple babysitters that tend your kids sometimes, you can give each one a unique code. And if you have to fire one? Just deactivate that code in the system. You don’t just see that a door was opened—you see who opened it and when. We like that individual user codes link to an activity log in both the SkyControl panel and the mobile app. You don’t just see that a door was opened—you see who opened it and when. It does feel a little Big Brother-y, but if one of your babysitters gives their code to a friend who tries to steal your TV, you’ll know exactly whodunit. Vivint’s Sky App basically mirrors the SkyControl panel. You can use the app to control every aspect of your security system and home automation features. Vivint’s app is one of the highest rated home security apps in both the Apple App and Google Play stores. Apple gives the app 4/5 stars, and Google Play gives it 4.5/5. Our own experience holds out those scores. We’ve found Vivint’s app to be easier to use than competitors’ apps, such as ADT’s, and we like that we have total control over our system, just like we would standing in front of the control panel. The biggest thing we noticed about Vivint’s app is how detailed you can get with your custom settings. If you go on a walk every day around 3:30 p.m. and know you’ll forget to set the alarm, your system can do it for you. You can also use the app to set motion detectors to turn off at specific times. For example, if your dog is going to be hanging out in the front room all morning and you don’t want it to set off the alarm, you can disable the living room motion detector for that period of time and leave the rest of the system untouched. Vivint’s mobile app lets you get a live feed of your security cameras. We also like that Vivint’s mobile app lets you get a live feed of your security cameras. This works especially well for Vivint’s doorbell camera. When someone walks on your porch, you get an instant notification and a live feed of your porch. You can see (and talk to) the delivery person dropping off a package at 1:00 p.m. while you’re at work. You can even unlock the door to let them set the package inside and lock it behind them afterward—all while monitoring their actions via your phone screen. We heard from one user whose dog escaped while they were away from home. A neighbor caught the dog and brought it back, and the user was able to view the neighbor (and the dog) via their doorbell camera, talk to the neighbor about the situation, and let the neighbor into the house to drop off the dog. It’s pretty convenient for anyone with kids, pets, or just a lot of deliveries. Vivint’s basic equipment package includes only two–four door OR window sensors, so if you have more than one door and more than three windows, you’re gonna need some extra stuff. 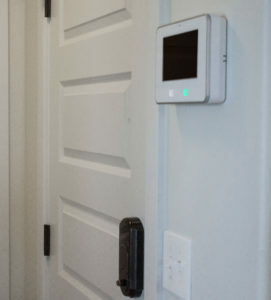 We tested a Vivint system that used door sensors on all three main entries and window sensors in all four first-floor rooms, which is significantly more equipment than comes in the basic package. And remember, pricing is Vivint’s biggest drawback; it’s expensive. Expect to pay $34.99 for each additional door/window sensor you want, and that’s not even getting into extras like motion sensors and glass break detectors. The more equipment you add, the pricier your system will be—and it adds up fast. But we do like that Vivint uses an a la carte structure that lets you choose as much or as little equipment as you want. Beyond the basic equipment package, you pay for each piece individually. This means you can choose to turn your house into a veritable fortress or just throw on a few door sensors and call it good. Vivint does offer financing options so you can pay for your equipment over the length of your contract if you can’t shell out the cash up front. When it comes to sensors, every provider’s equipment works about the same (i.e., if someone opens a door or a window, an alarm will sound). 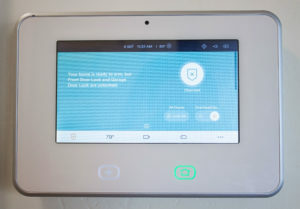 But Vivint takes it a step further by basing its security system on a cellular connection. What that means is Vivint equipment is hooked into a cell signal, similar to your smartphone, instead of relying on a phone line that burglars can potentially disable. Since burglars can’t turn off your system just by cutting a cable, you have a nice layer of extra security. Plus, Vivint uses its cellular-based system to send over-the-air software updates. Similar to the software updates you get on your phone or tablet, Vivint can keep your system up to date without having to send in a technician or making you buy new equipment. Vivint equipment might be expensive, but at least you have to buy it only once, and it’s yours for life. 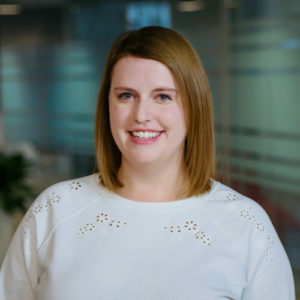 Vivint isn’t the only provider who offers cellular-based protection, but it is somewhat unusual that it offers only cellular connections. Competitors like ADT give customers more options on that front, which is a good thing if you live somewhere with a weak cell signal. Vivint is available nationwide, but keep in mind that if you live in a rural area with nary a cell tower in site, then a Vivint system won’t do you much good. Installation technicians check cell signal strength before installing Vivint systems, so it’s fine if you don’t know the signal strength in your location. While Vivint’s basic home security looks good and works well, we think the best thing about Vivint’s system is its home automation capabilities. With more and more in-home devices carrying the “smart” label, Vivint provides a foundation that everything from your light switches to your thermostat can be built on. Vivint integrates with smart home devices like Nest. This becomes especially convenient when you consider that Vivint integrates with Amazon’s Alexa and Google Home, so you can control your entire Vivint system, including door locks, with your voice. For obvious security reasons, you can use voice control only to lock doors—not unlock them. Like many home automation systems, Vivint equipment uses Z-wave technology. Z-wave technology works like Bluetooth in that it can “pair” with different devices so they all work together. Want to buy a light dimmer or a smart lock from someone other than Vivint and add it onto your system? You can. As long as it’s Z-wave compatible. Vivint also pairs with one of our favorite smart devices: the Nest learning thermostat. Vivint recently introduced its own “smart” thermostat, but the Nest thermostat has a well-established reputation for cutting down energy costs while still keeping your home comfortable. 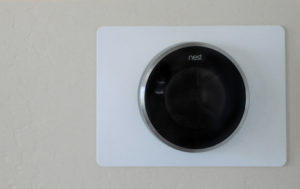 Plus, we like the way it looks, so if you want a smart thermostat, we suggest Nest. We’ve already touted Vivint’s doorbell camera a few times in this review, and for good reason: it’s really cool. The camera alerts you and sends a live video feed to your phone anytime a visitor walks up to your door. You can hear and talk to the visitor through the Vivint Sky App or SkyControl panel. And the doorbell camera has “smart visitor detection” too, so it shouldn’t bug you every time a car drives past your house. But the doorbell camera isn’t the only cool security camera in Vivint’s arsenal. Vivint recently released the Ping camera. Similar to the doorbell camera, you can hear and talk to people on the other side of the Ping camera. That’s nothing new (even lower-tech security cameras allow two-way communication) but this camera doesn’t just let you talk—it lets you make video calls. We’ve already touted Vivint’s doorbell camera a few times in this review, and for good reason: it’s really cool. Anyone in your household can just press the button on top of the Ping camera, and you’ll get an incoming video call through the Vivint Sky app. We haven’t encountered any other indoor security cameras that do this yet, so the Ping is a bit unique. The Ping’s video call function is handy if you have kids who aren’t old enough to have phones yet. It gives them a way to contact you when they get home from school or if their babysitter gets sick while tending the kids and can’t call you. 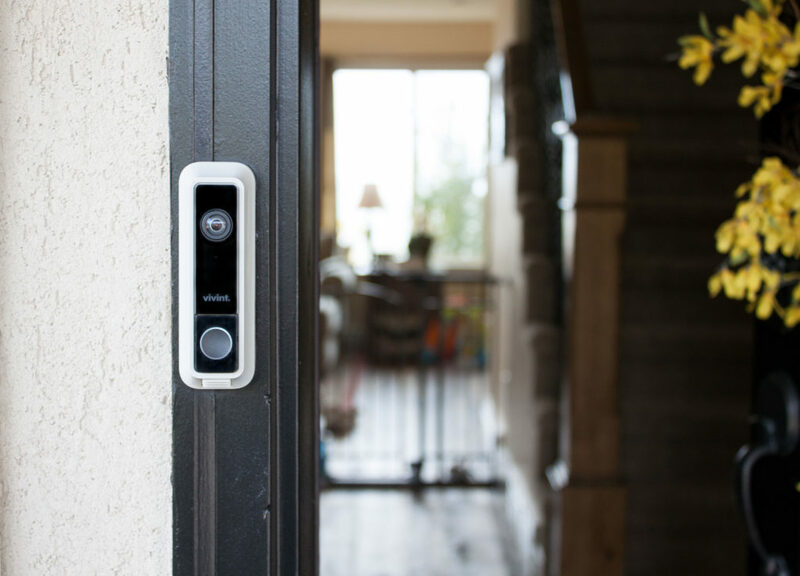 Video calls aside, many Vivint cameras, including the doorbell and Ping cameras, have motion-triggered recording, night vision, and HD recording—all of which make them top-notch equipment. In the past, customer service has been where Vivint falls a bit short. While its equipment is solid, Vivint has been accused of aggressive and misleading door-to-door sales pitches, and its Better Business Bureau (BBB) score is only a C. We’ve even heard multiple reports from people who felt pressured or lied to during Vivint’s door-to-door sales process, and the company has faced lawsuits in several states because of it. Vivint’s cancellation period is only three days, so if you don’t want to keep the system, you’d better decide quickly. The average homeowner keeps their home security system for eight to eleven years. It’s a big investment and a long-term relationship with the provider, which is why we do not recommend signing on for a home security system through a door-to-door salesperson basically ever, Vivint or otherwise. Door-to-door salespeople often work on temporary summer contracts and have limited training and ambitious sales goals—plus, they don’t generally stick with the company for long. You’re much better off making a phone call and talking to a rep who has a lot more training than the wide-eyed fast-talker on your front porch. Plus, when you call in to order, the call is recorded. If anything shady did happen, you’d have a record of the conversation. Keep in mind that if you call in to order a Vivint system (or any home security system, really), it’s not going to be a five-minute conversation. Think of your phone call as a consultation during which you’re probably going to have to answer a lot of questions about your house, your budget, and what level of security you’re looking for. Sit down and get comfortable. The best things take time. Also, remember that the sales rep you talk to can’t see your house. Our own over-the-phone experience with Vivint went smoothly, but it wasn’t until installation that our experience was customized to suit the individual house. With that said, Vivint installation technicians, like with most security companies, are paid on commission. It’s their job to upsell you on equipment, so we recommend knowing beforehand the general level of security you want. Don’t sign on for an indoor camera in every room if all you really want is entryway protection and a doorbell camera. We do like that Vivint offers free professional installation on most of its equipment, even if you add the device to your system later. The only exceptions are outdoor cameras and the doorbell camera. You’ll pay $99 for outdoor camera installation and $29 for doorbell camera installation. *Update: Vivint no longer offers free installation. The installation fee is now $49.99. Vivint’s home automation features and sleek, tech-heavy equipment make it one of our favorite home security providers. We love being able to geek out over camera features and third-party device integration. That said, if all you want is a basic security system with some sensors and an alarm, then Vivint is not for you. We’d recommend checking out providers like SimpliSafe or Protect America that offer good basic packages at affordable prices. Vivint is for those who want top-notch security alongside the latest smart home technology. We’d like to see Vivint improve its customer service and sales image, and up its BBB grade too, but if it stays on top of the tech game, we still say it’s a top choice for homeowners. If you’re still curious what other options you have even after making it to the bottom of our Vivint review (congratulations by the way), hop over to our best home security systems review. What a horrible experience with this company. My uncle has this system. He has been unable to use the 24 hour recording feature of this system since it was installed in July 2016. They have sent out someone to work on it 3 times. Each times they said it works great but he had his life threatened and called cops to show them the video and there’s no video. There’s no way it ever worked because I fixed it today in 5 minutes. The smart drive was plugged into the wrong piece of equipment. After talking to support he finds out that he is down for a 42 month contact instead 24. He was offered a credit of $15 after talking to numerous people. After over an hour on the phone he was refunded more money he is still stuff with the contract he did not agree too.